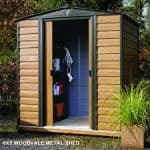 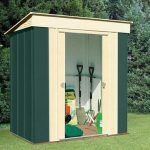 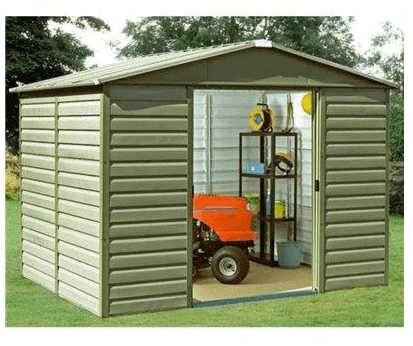 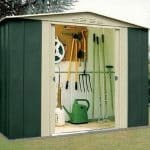 This is a superb example of a larger metal shed giving the user excellent storage capabilities. 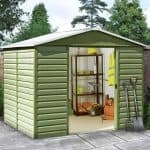 Part of the deluxe range, it is constructed from galvanised steel which means it is rustproof and very secure. 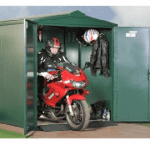 Large double doors lead to good use of space and they are lockable too which means there is extra security. 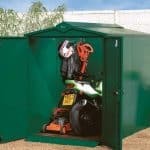 A great storage solution for any gardening enthusiast.